Small Team Offices Are Here! Are you working with your team via coffee shops and home meetings? Do you ever get the feeling that you wish you had an office space that everyone could keep their computers, paperwork, client information, and other business essentials? Or are you a group of creative people that just need a more professional place to meet with clients and create your work? The Bridge’s small team offices can offer all of that and more. The Bridge is already Tulsa's workspace for creative entrepreneurs, remote workers, and freelancers alike and now we are also the new home base for some of Tulsa's creative small teams as well. 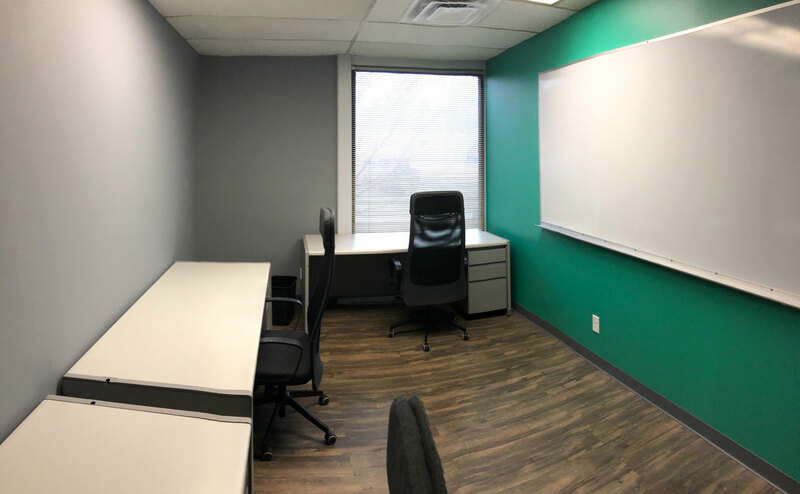 As of February 1st, 2019, The Bridge is happy to offer our first small team office furnished and ready to go for some of Tulsa's brightest, fun-loving, and innovative small businesses that are looking for a place to call "home". The new Bridge small team offices come complete with access to our kitchen space (free coffee available) and common area (this is where all the snacks and drinks are). Small teams also have 20 hours of meeting space a month in our excellent meeting rooms, 24/7 access, and mail service (giving your business a real street address for that sweet SEO). Our building comes with free parking and we are conveniently located right off of I-44 and Lewis, close to both South Tulsa and Midtown, meaning you’ll be convenient and close to your customers, too. Interested in holding workshops and classes? No problem. Your Team membership gives you access to our Training Room. 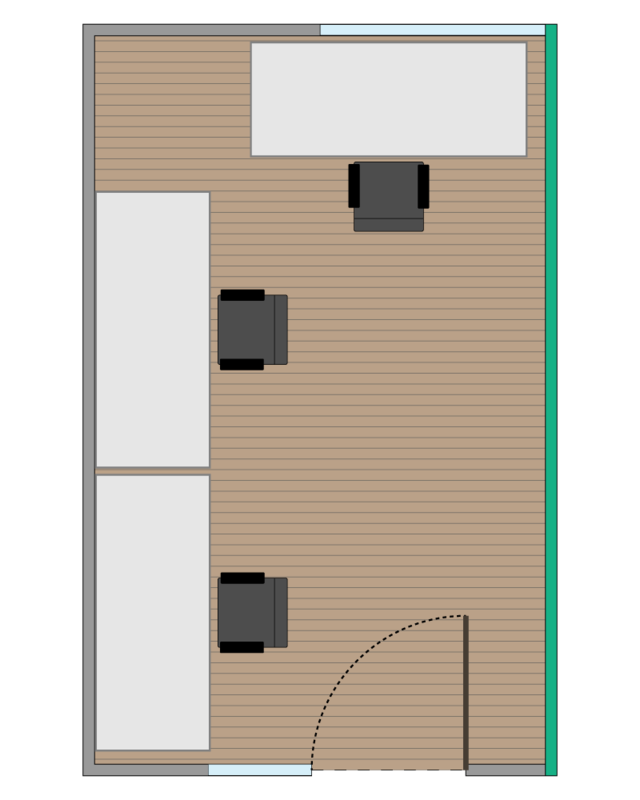 It has plenty of room for up to about 20 people. It has a projector with HDMI access as well as the tables and chairs. The coffee and kitchen are available for your use and you can teach/entertain with everything you need in one spot. So, you can snaga time slot and just bring your laptop and registrants! And you’re getting more than just an office with your Citizen Team membership. We are more than just a space to work. Our members frequently brainstorm ideas, help each other with problems to do with their industries, and genuinely enjoy each other’s company. We enjoy fostering that type of environment where everyone can help each other be successful. That is what makes The Bridge a community, not just another office space. So, if you are looking to stay closer to the suburban life that is closer to 71st street, we welcome you! Give us a call today or fill out this form to get in touch about getting a tour of our space. We look forward to growing with you at The Bridge.